Increase brand visibility using stylish Angle Shade Gooseneck Lights. This combination features a 7in. Angle Shade design on a long hooking arm. Goosenecks mount to walls using a sturdy back plate designed for installation to most any 4" standard junction-box. And for lasting outdoor use, gooseneck lighting has premium all-aluminum construction with a rust resistant powder coated finish. 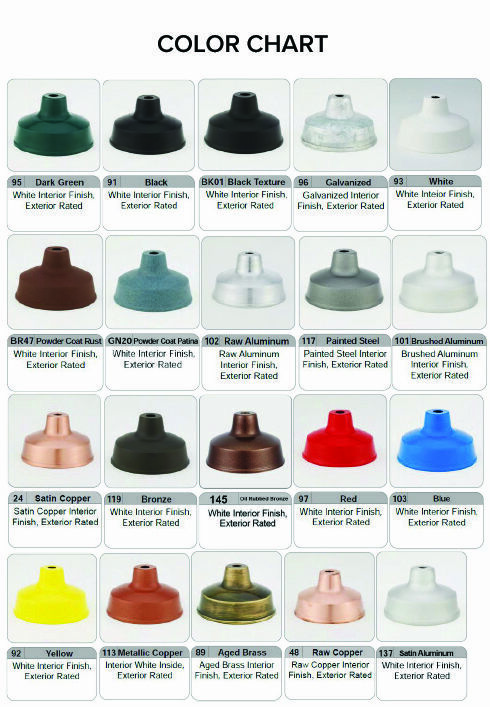 We offer 25 color options (white, black, dark green and galvanized steel available at no additional cost). Standard online orders are for incandescent gooseneck lights rated for up to 150-Watt bulbs. Upgraded lamping is available for high-intensity discharge (HID) goosenecks (metal halide and high pressure sodium), LED and compact fluorescent (CF) gooseneck lighting. For custom order options not available online please call toll free for a price quote.